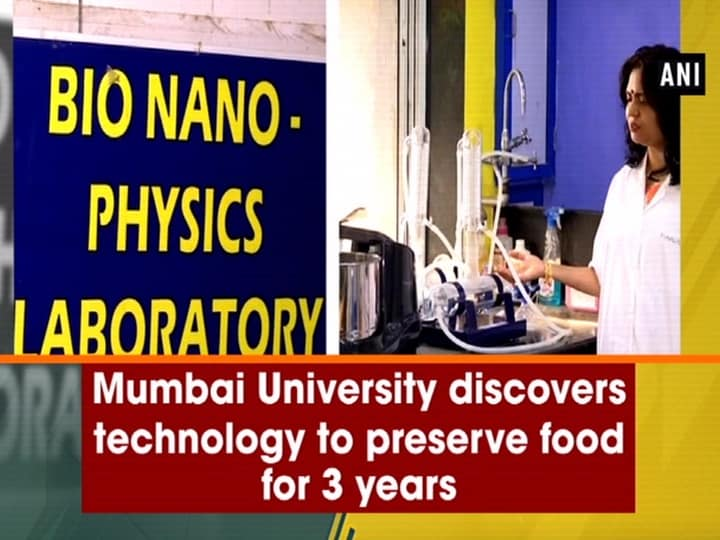 Mumbai (Maharashtra), Feb 08 (ANI): Physics professor at Mumbai University has discovered a technology to preserve Indian cuisines like idli, upma and white dhokla for three years without adding any preservatives or impacting its taste and nutritional value. Physics professor Dr Vaishali Bambole said, "I have been working on this since 2013. This is electron beam radiation technique. We have used this technology for the 1st time on cooked food. It can be used in packaging food for armed forces, astronauts as well as for mass distribution in case of natural calamity." "We selected food items that contain less amount of oil and protein. Yesterday, we opened idli after 3.5 years and that was still fresh. We experimented on several food items but got the best results in these 3 food items (upma, idli and white dhokla", she added. It is totally useless to preserve food for 3 yrs unless one travels on intergalactic voyage !!! LOL. It would have been great if the team could have invented better agriculture techniques, bio gas stoves, natural organic manure instead of pesticides, etc... that help our poor and people at large.